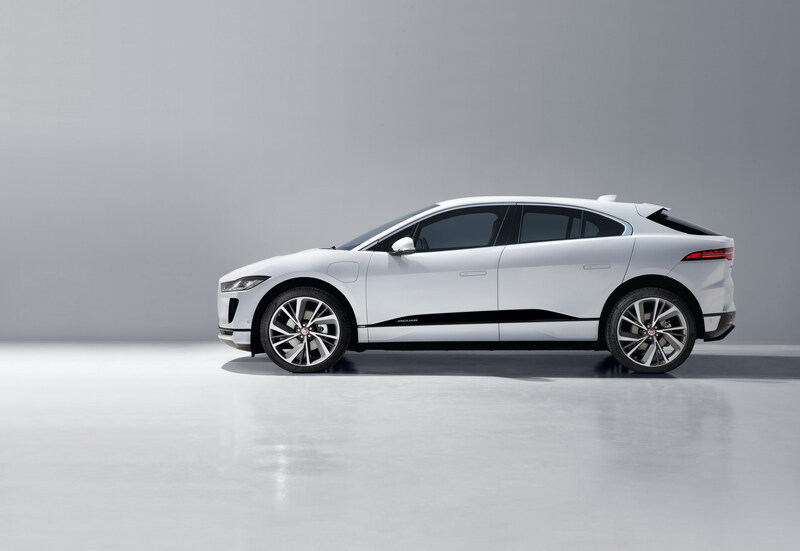 The 2019 Jaguar I-PACE is here. 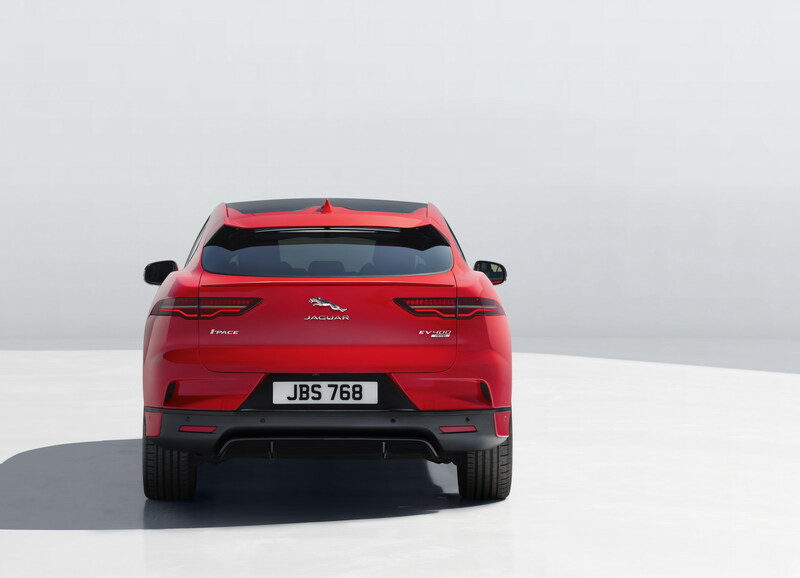 While Jaguar’s rear end designers are probably vacationing every year with their counterparts from Volvo, everywhere else, the vehicle looks fantastic. 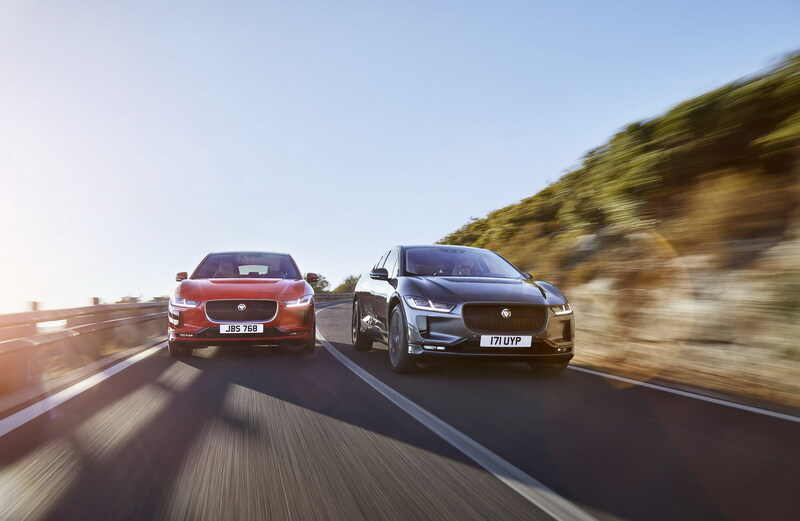 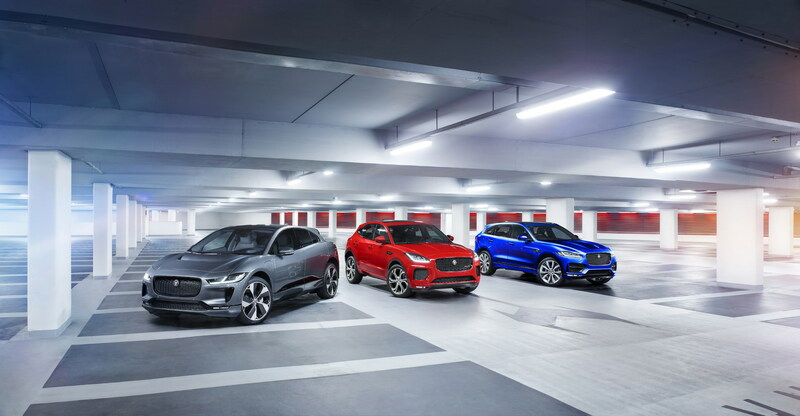 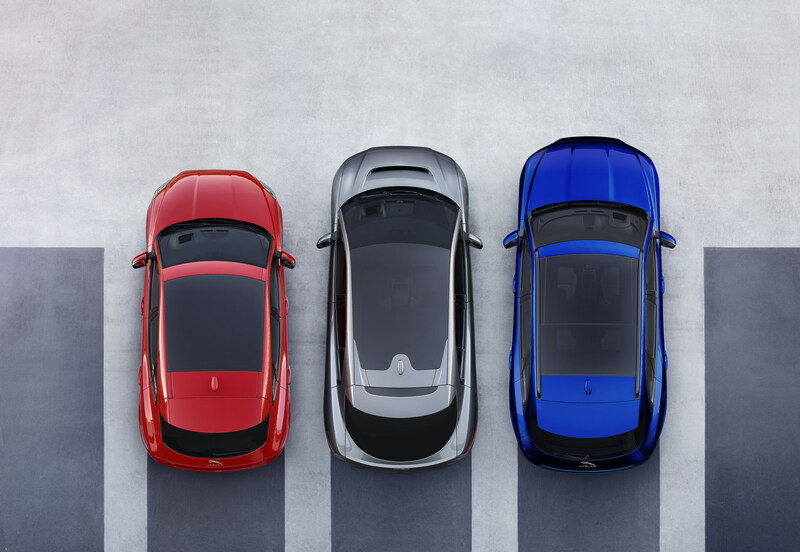 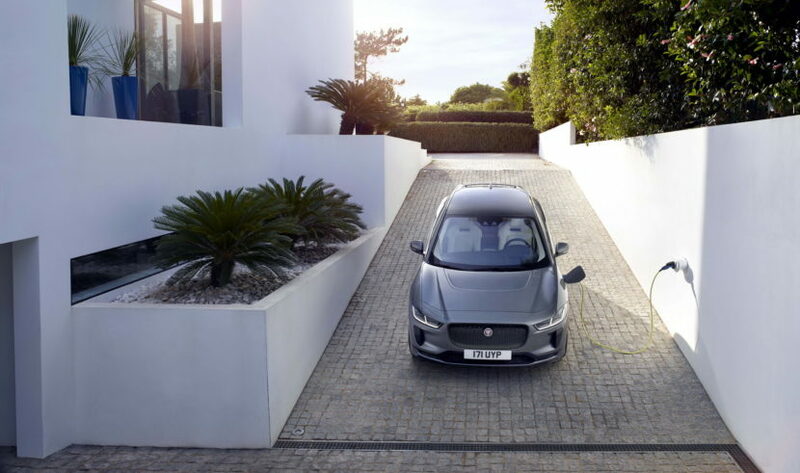 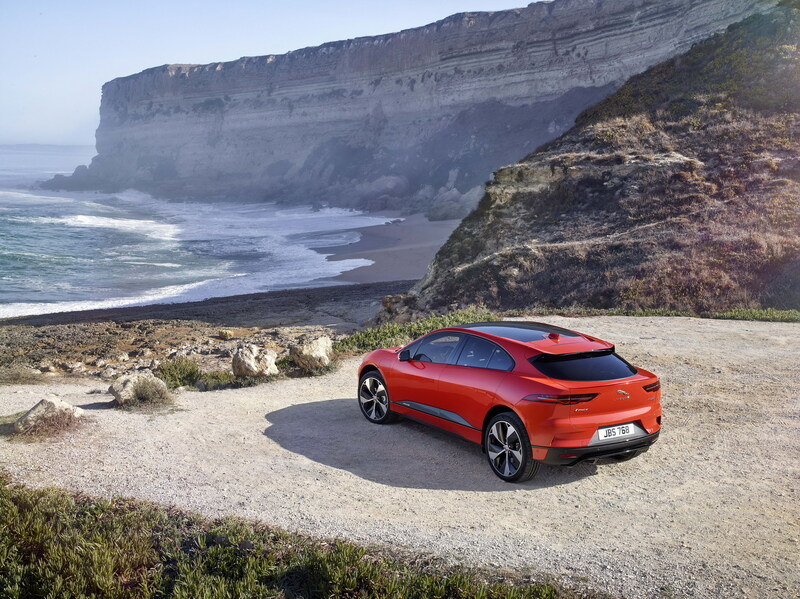 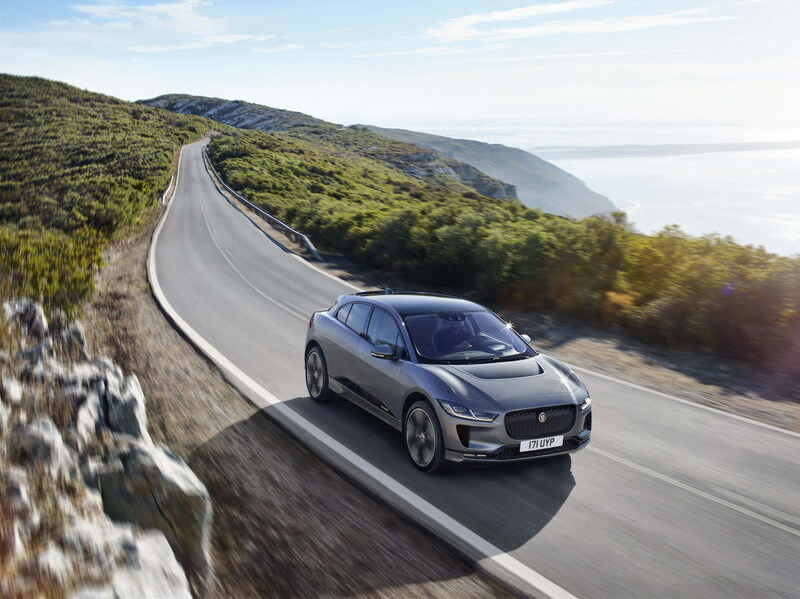 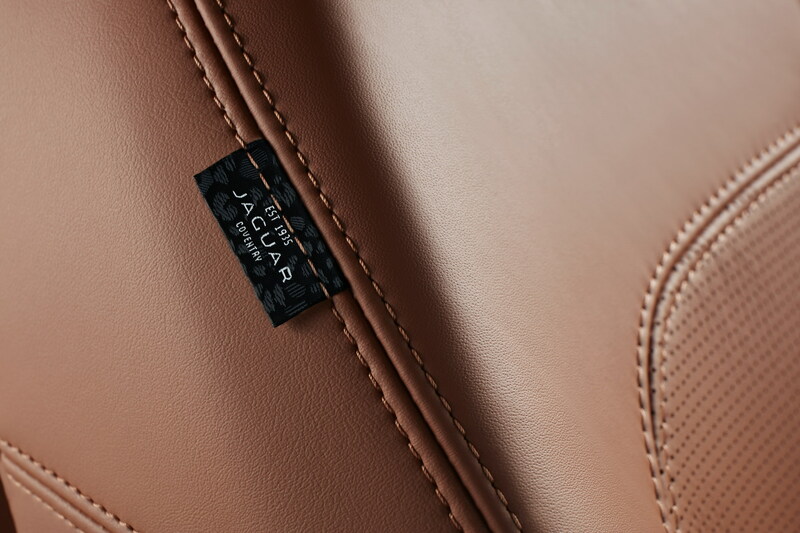 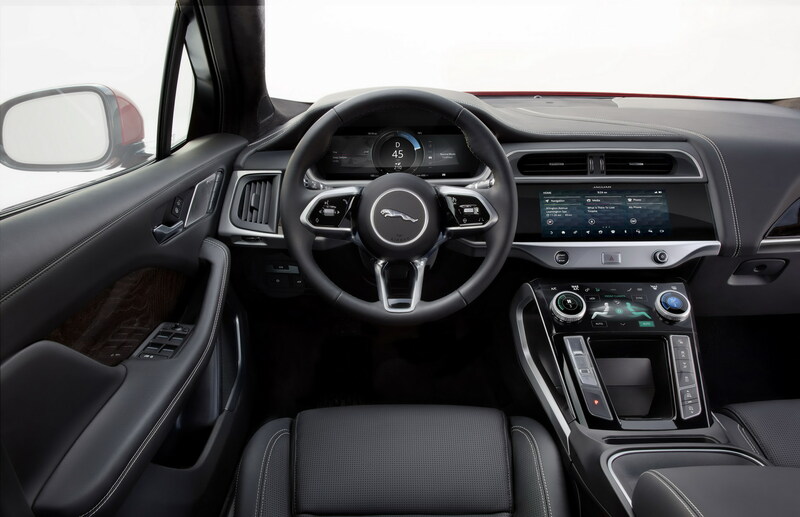 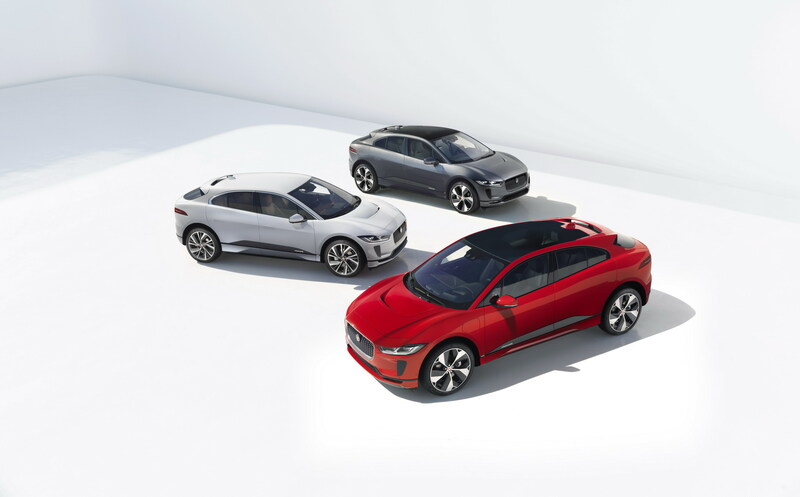 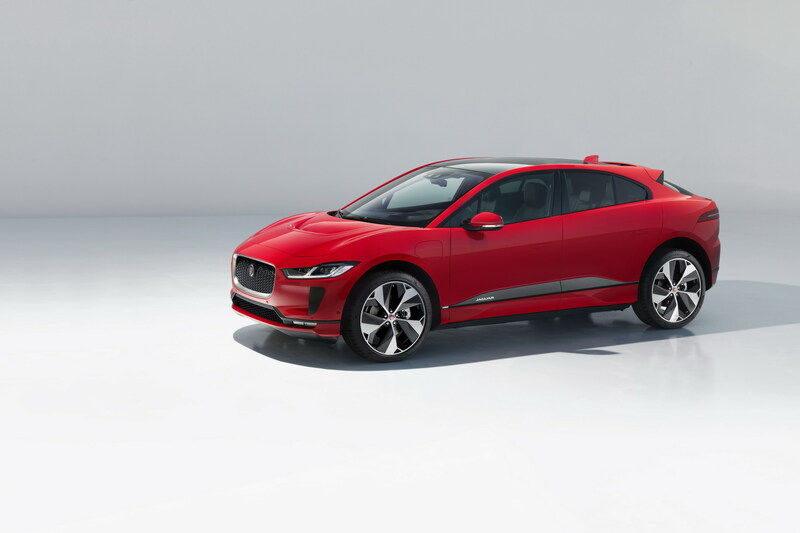 The Jaguar I-PACE is Jaguar’s first ever all-electric vehicle and Brits promise sports car performance, next-generation AI technology, gorgeous design and uncompromising luxury, all combined with the practicality of an SUV (Sports Utility Vehicle). 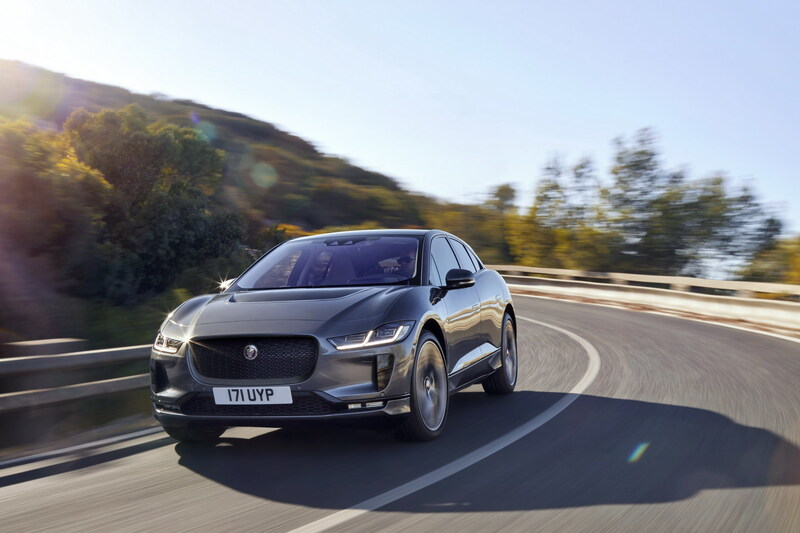 It’s a vehicle that competes directly with the Tesla Model X in fully electric capability, if not size, and, indirectly, with the likes of the BMW X4 and Audi Q5. 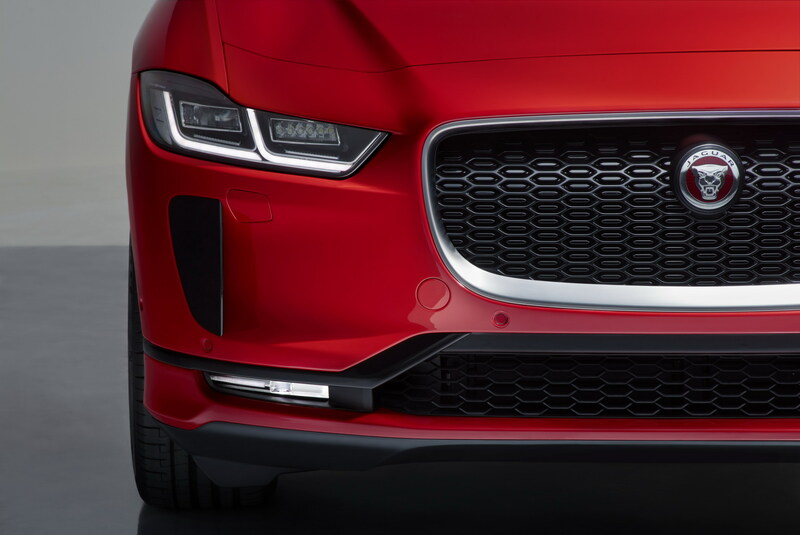 “We set out with a clean sheet approach to harness new battery electric technology with an architecture engineered from the outset to optimize performance, aerodynamics and interior space. 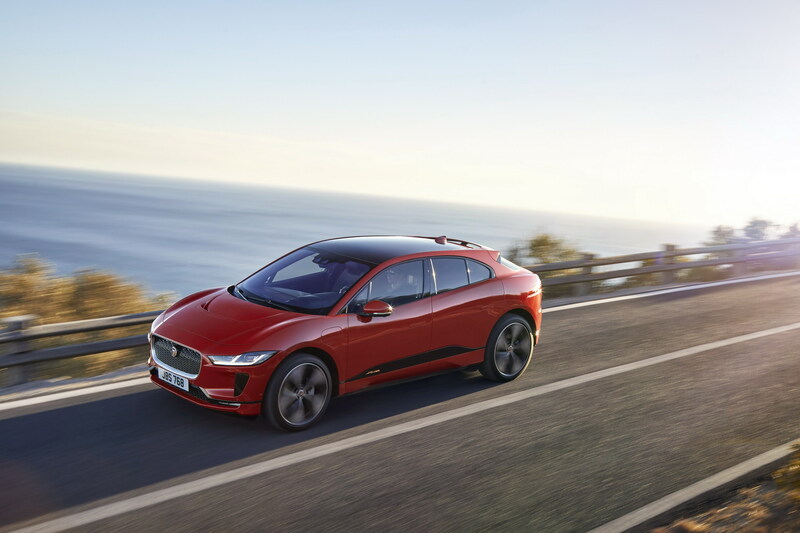 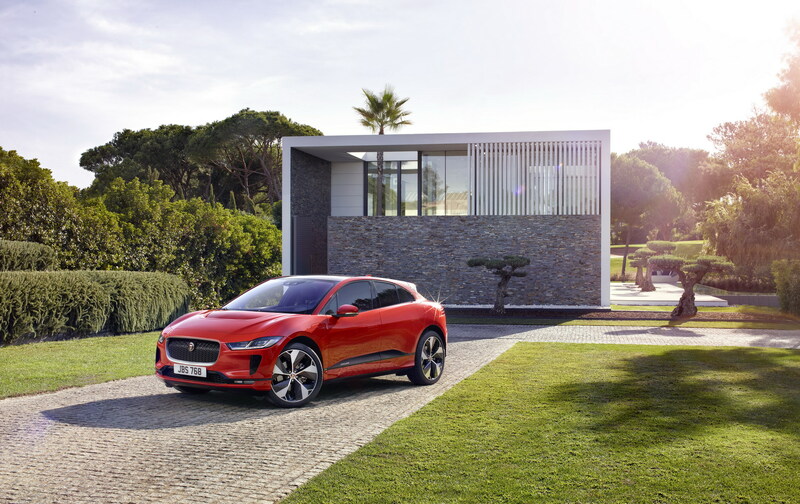 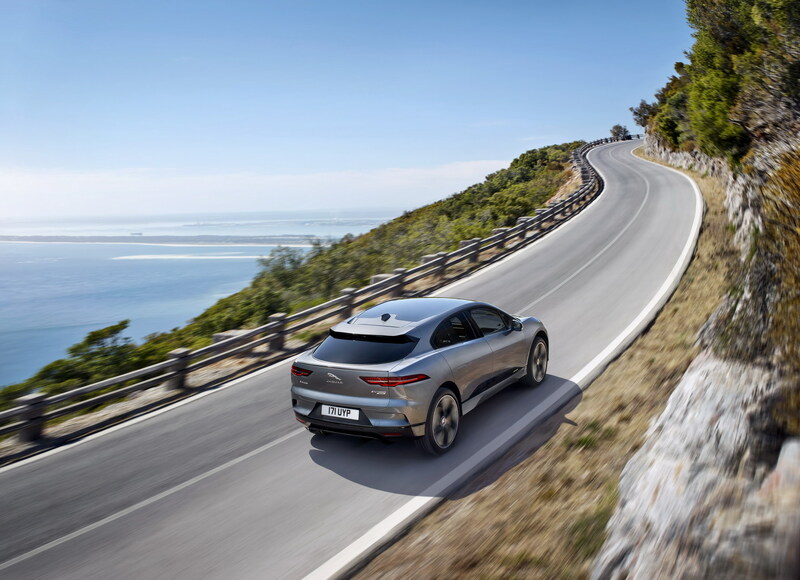 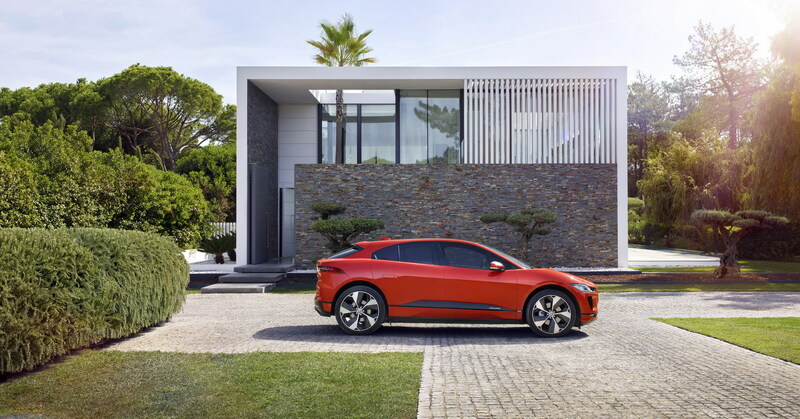 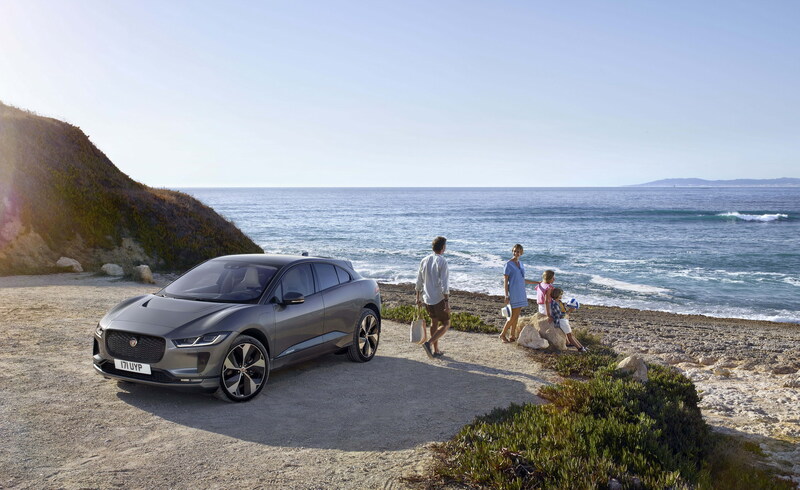 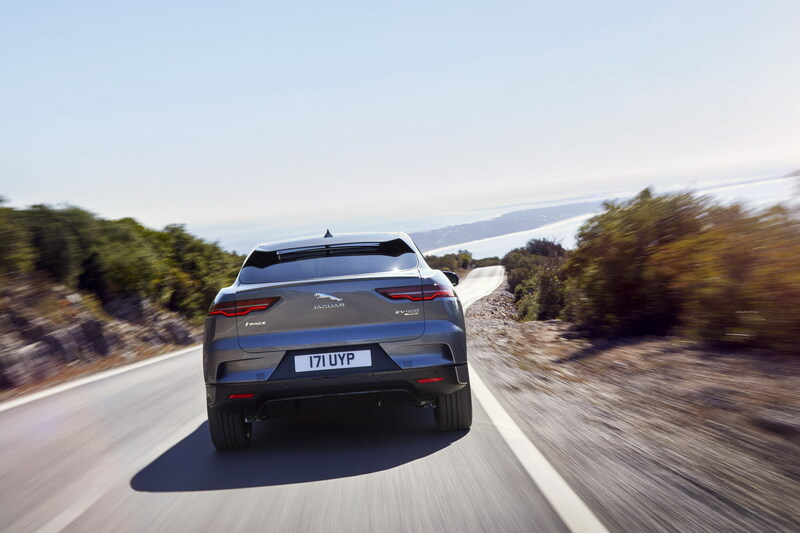 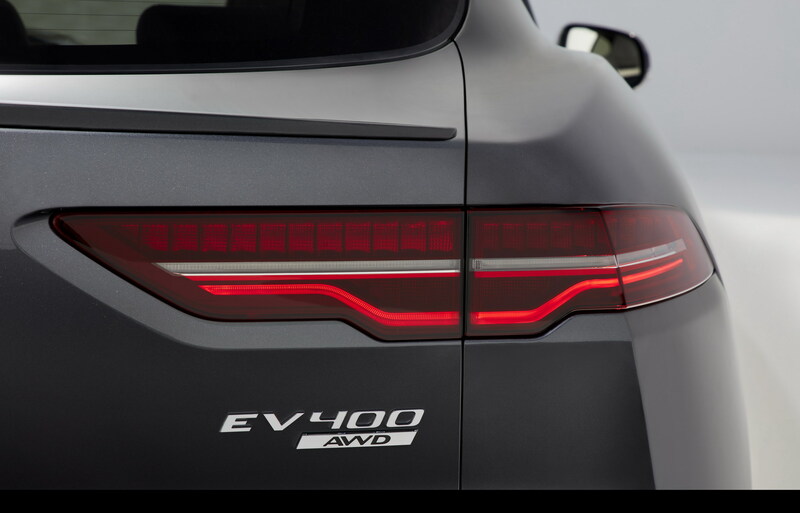 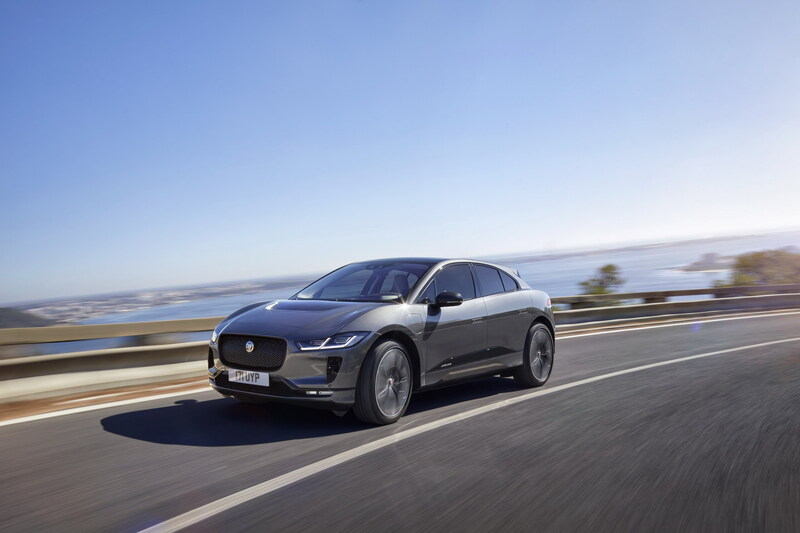 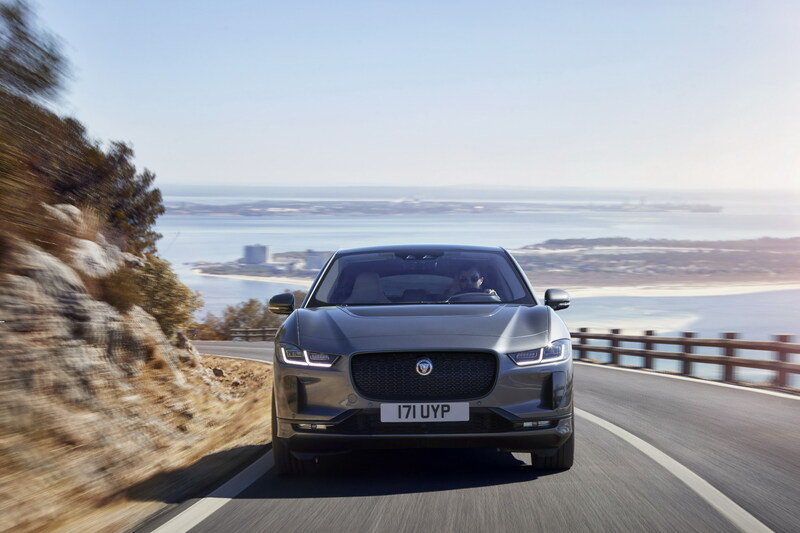 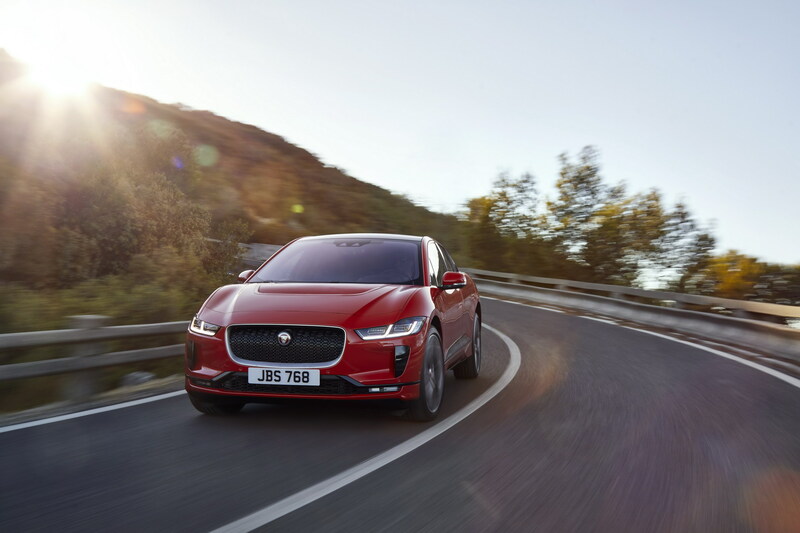 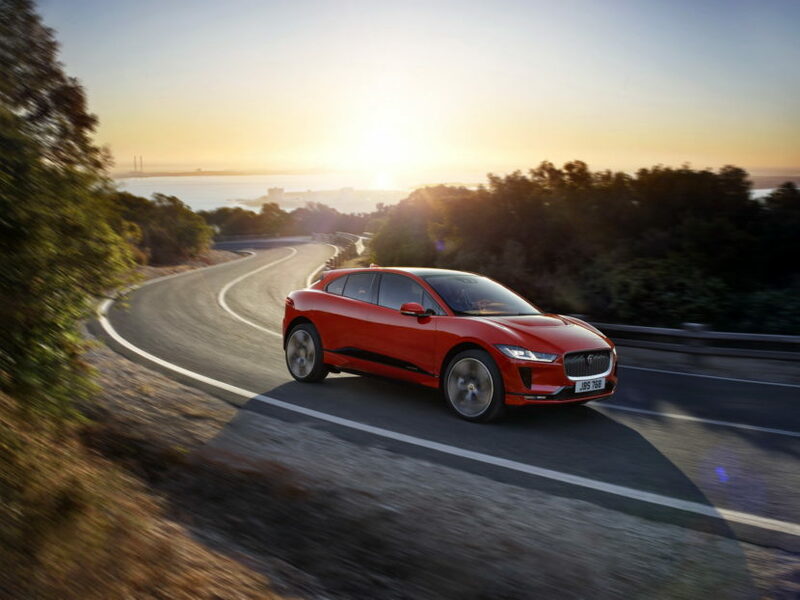 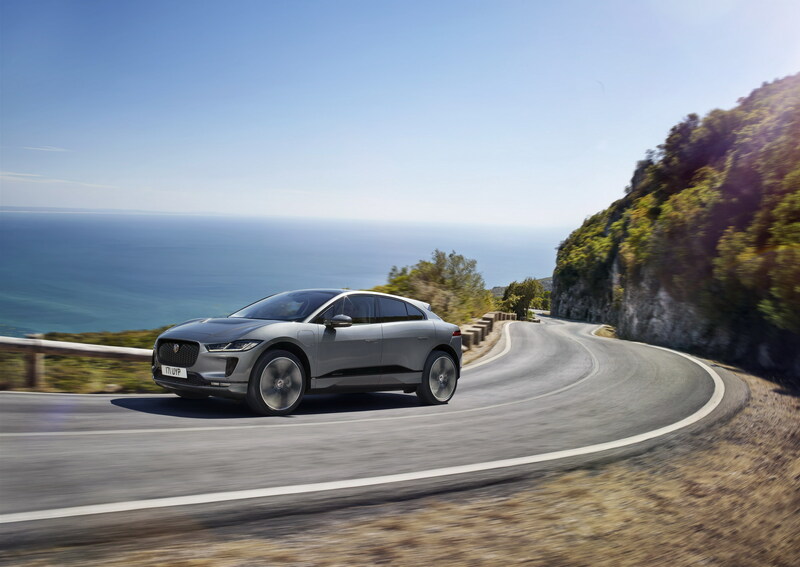 The result is the I-PACE – a true Jaguar and truly driver-focused EV,” stated company exec, Ian Hoban. 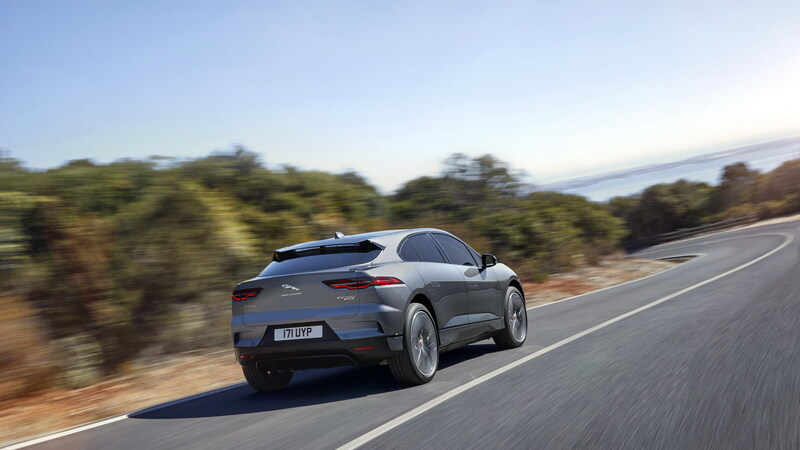 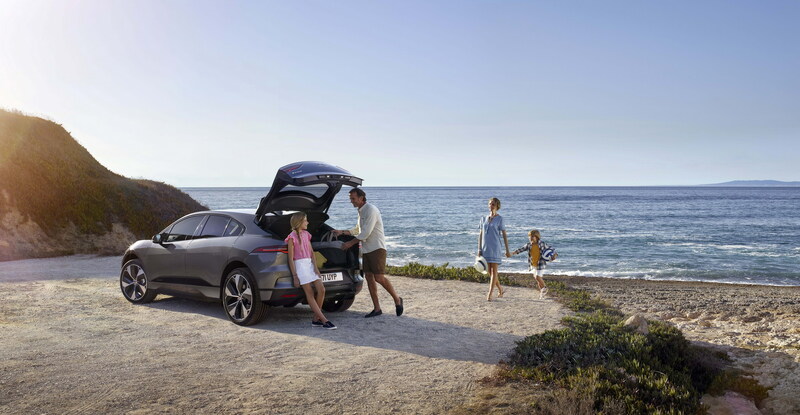 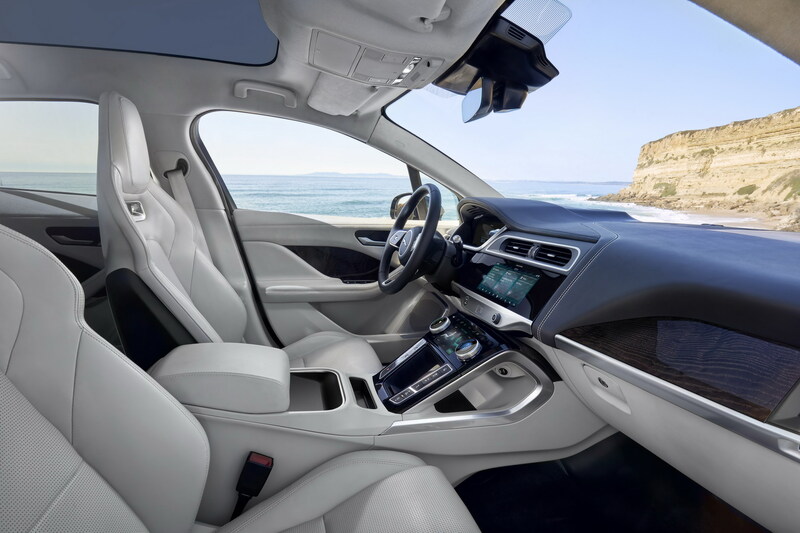 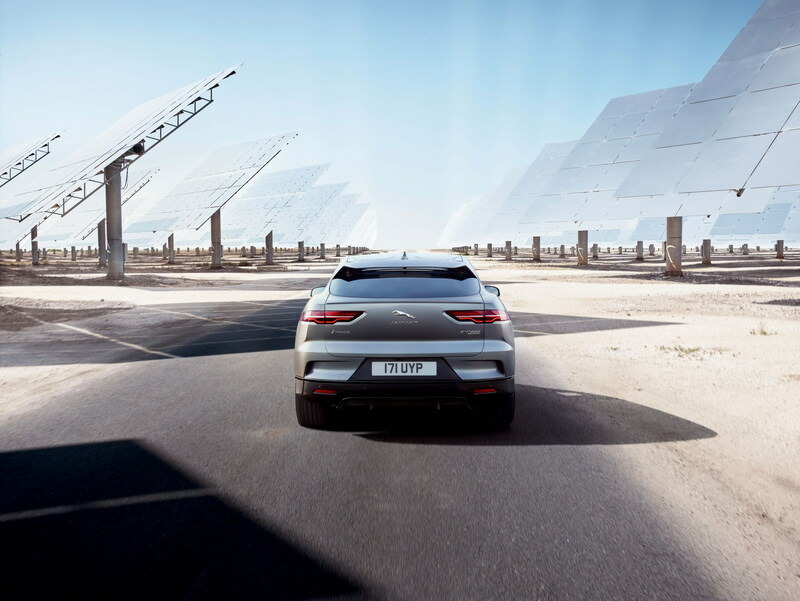 The I-PACE utilizes a 90kWh Lithium-ion battery with 432 pouch cells, allowing the vehicle to achieve a claimed 298 miles (475 km) maximum range. 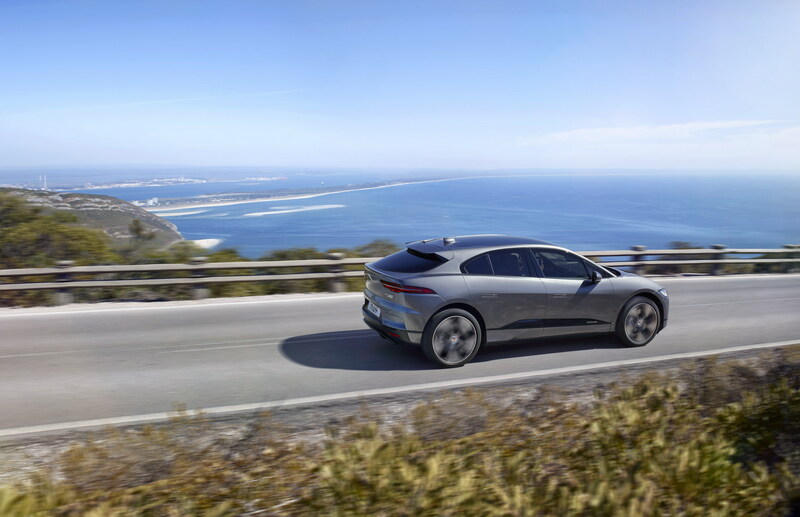 Additionally, thanks to the ability to charge the batteries to 80 percent in just 85 minutes – by using 50kW DC charging – longer range trips should be possible without too much hassle. 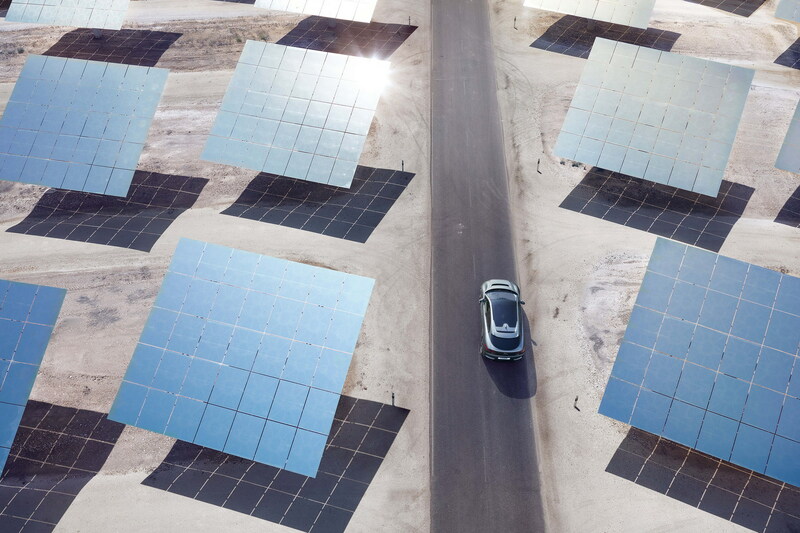 If you manage to find a 100kW rapid charger (Supercharger, anyone?) 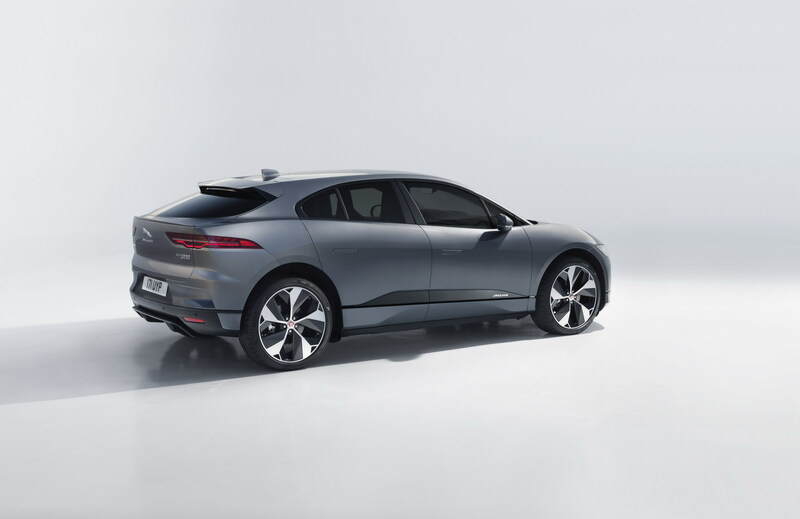 that time is shaved off to a rather quick 40 minutes, rivaling that of the Tesla Model S and Model X. 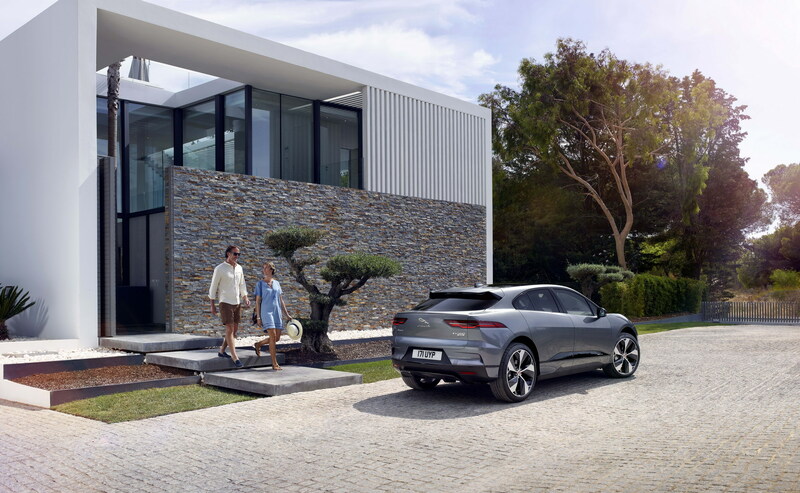 When the owners utilize a standard, home AC wall box (7kW), the vehicle will charge its batteries to 80 percent in just over ten hours, making overnight charging at home highly doable. 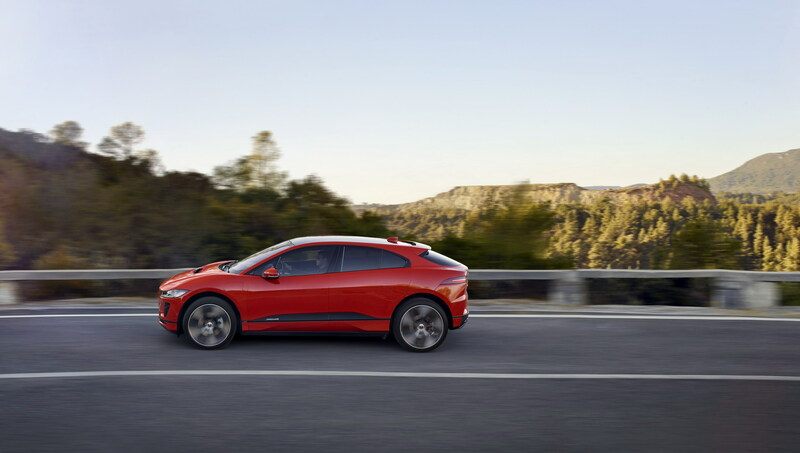 This brings that everyday utility plenty car makers are looking for, as the maximum range (298 miles / 475 km) will be plenty for 90 percent of users on a daily basis. 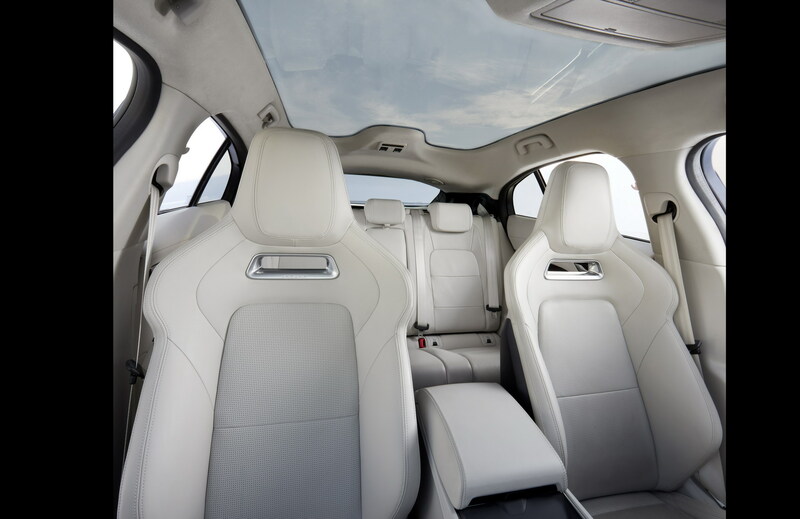 You just need not forget to plug in the car in the evening – just like your mobile phone. 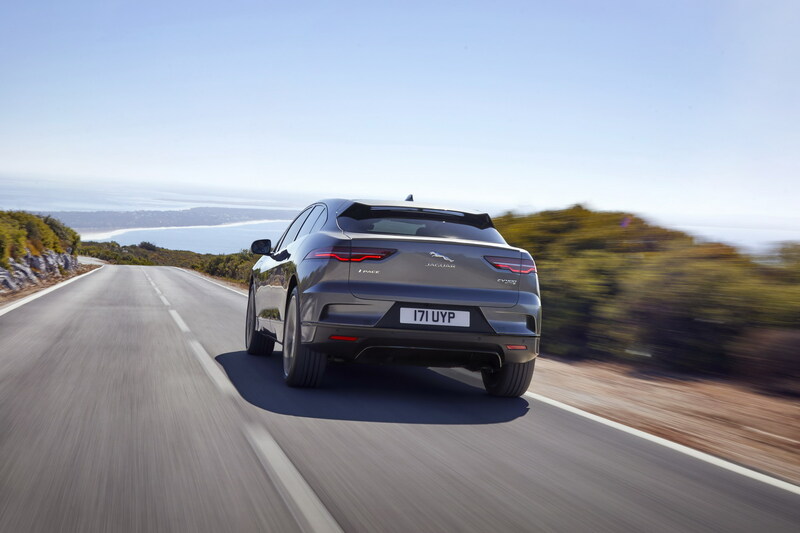 The performance aspect can be considered thrilling for an SUV. 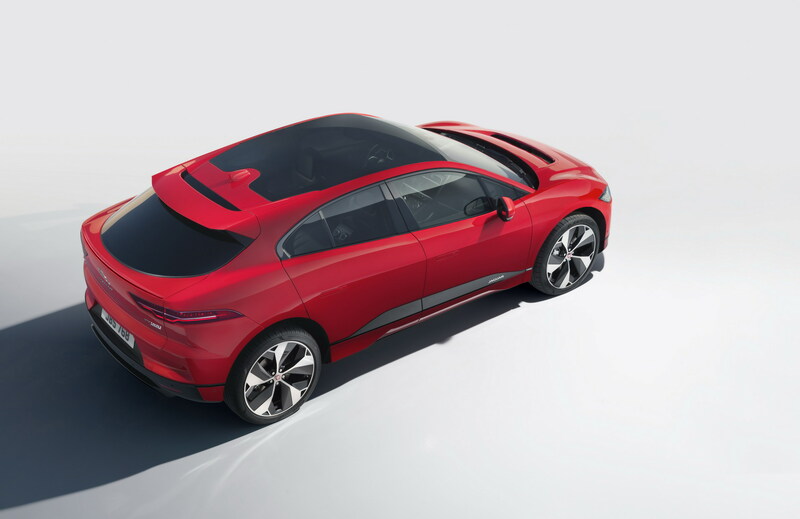 The Jaguar I-PACE uses two electric motors at each axle, combining for a total power output of 400 PS (395 HP) and 696 Nm (513 lb-ft) of torque. 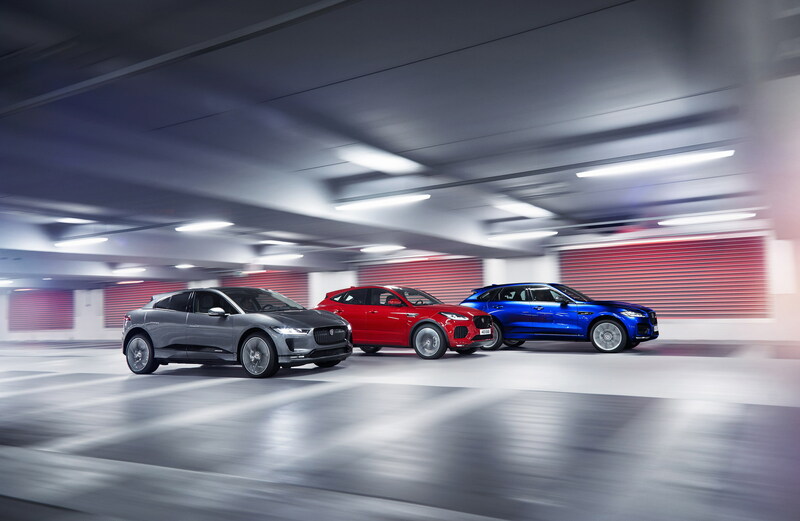 All of this power is getting sent to all four wheels. 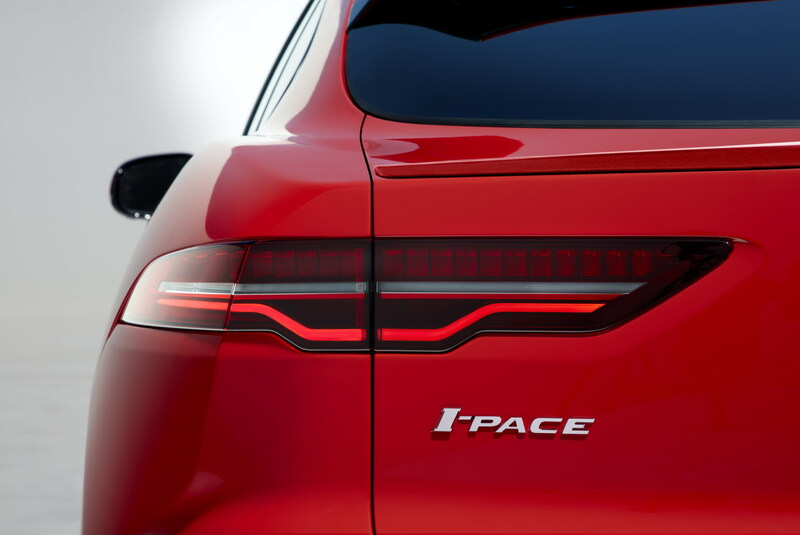 This allows the I-PACE to sprint from 0-62mph (0-100km/h) in just 4.5 seconds. 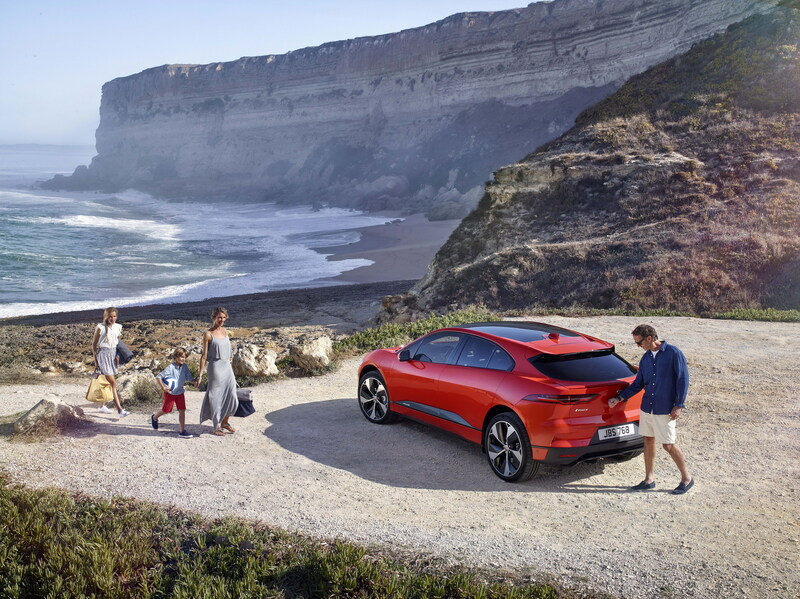 As for handling, the lowered center of gravity (thanks to the battery pack placement), the vehicle handles rather nicely. 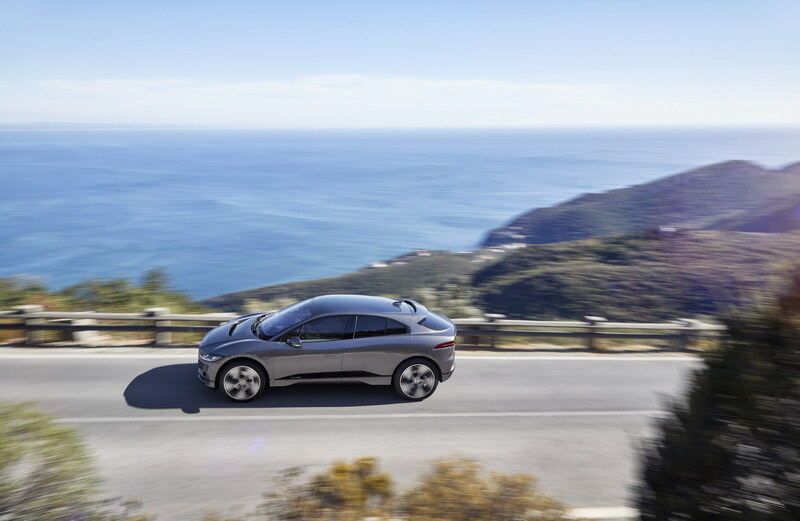 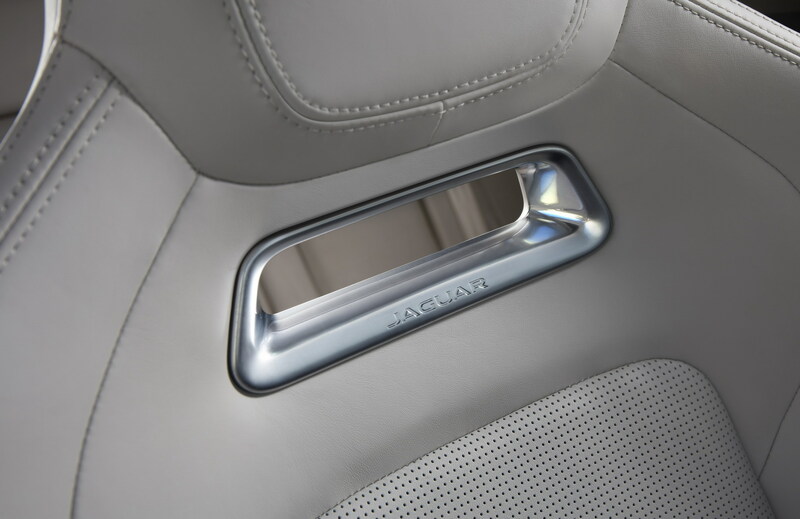 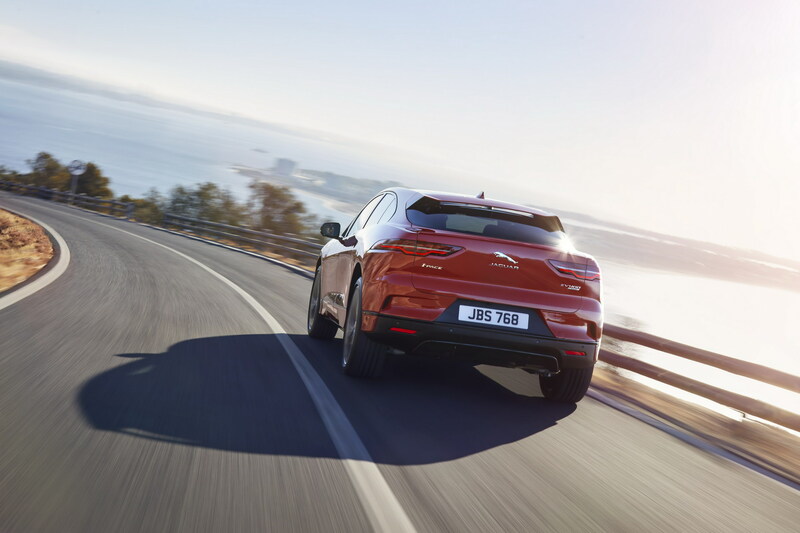 The I-PACE features a torsional rigidity of 36 kNm/degree, the highest of any Jaguar model. 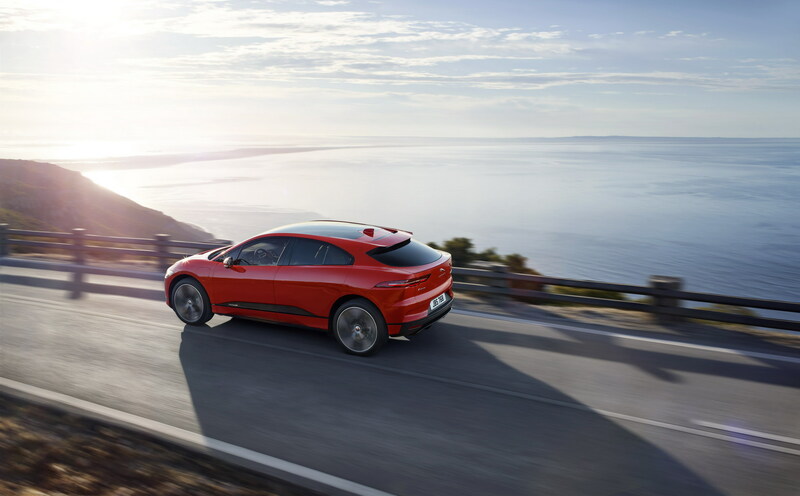 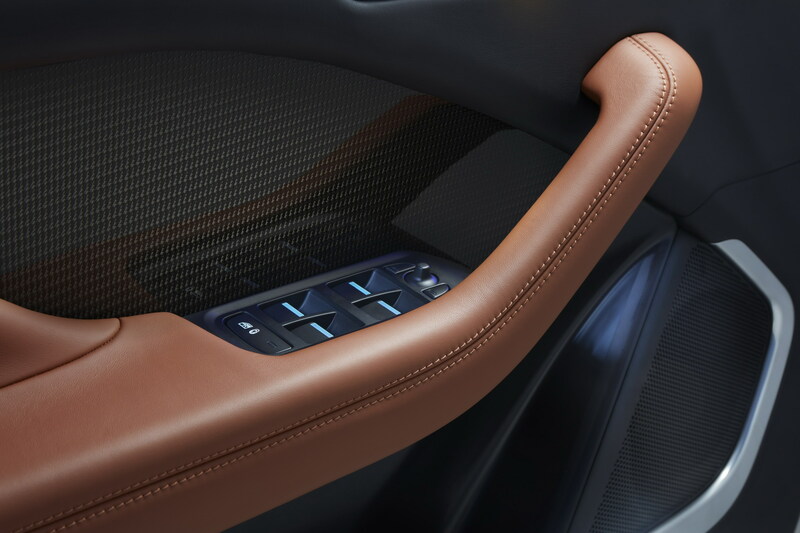 Furthermore, the optional air suspension and a near perfect 50:50 weight distribution will allow the I-PACE to achieve an “exceptional ride comfort” and “engaging driving dynamics”. 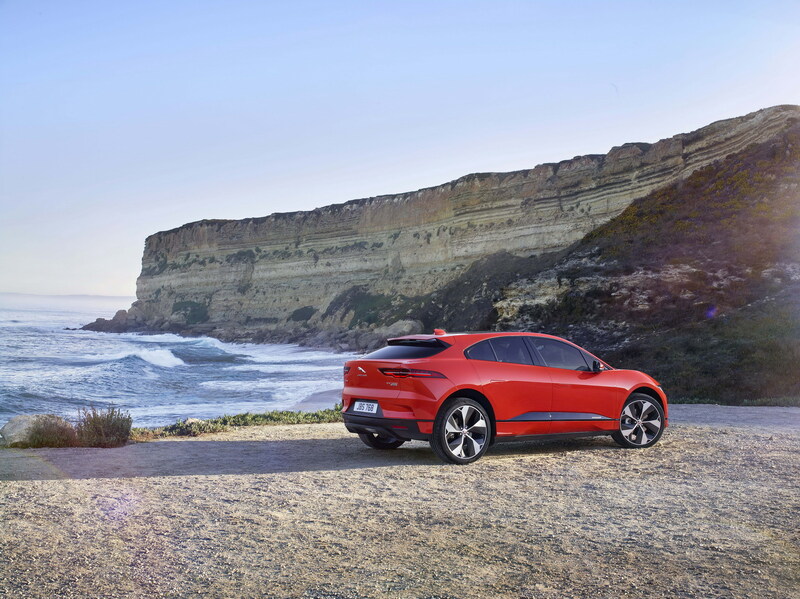 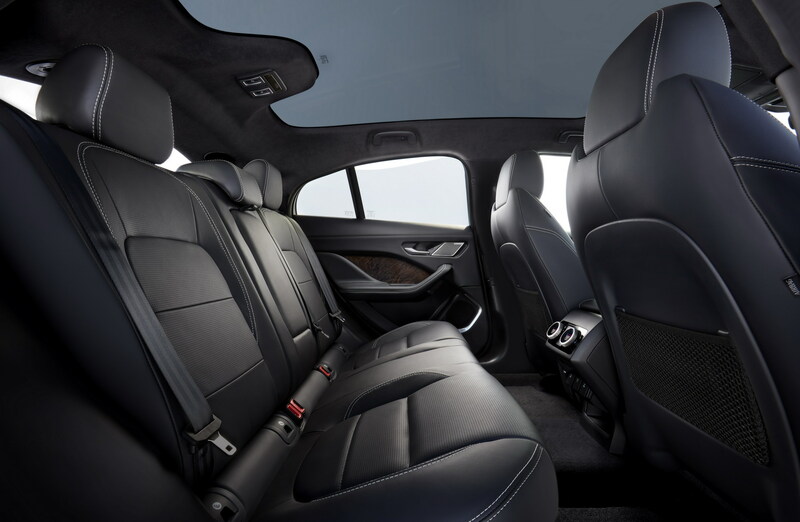 For us, BMW aficionados, the near perfect weight distribution and low center of gravity are what makes BMW cars such fun cars to drive, and other manufacturers are taking notice. 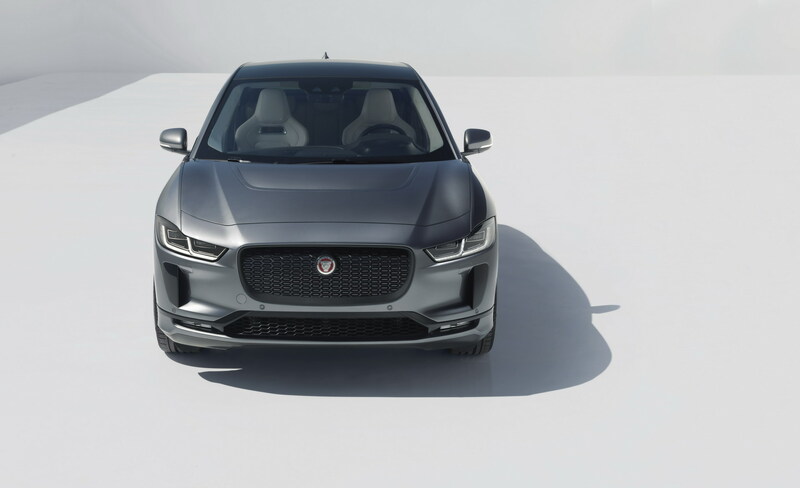 The design of the Jaguar I-PACE is highlighted by aggressive lines through the entire exterior. 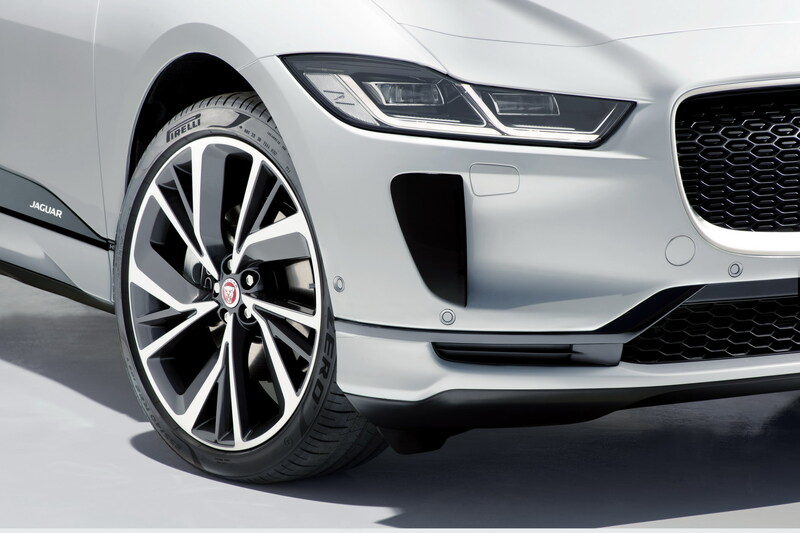 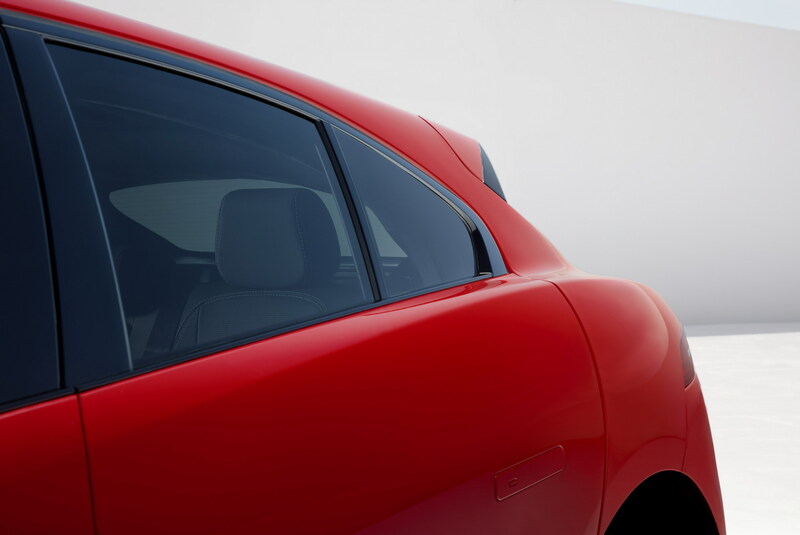 The sleek, almost coupe-like outer design adds to the aggressive exterior design note, making it one of the best looking vehicles in its segment. 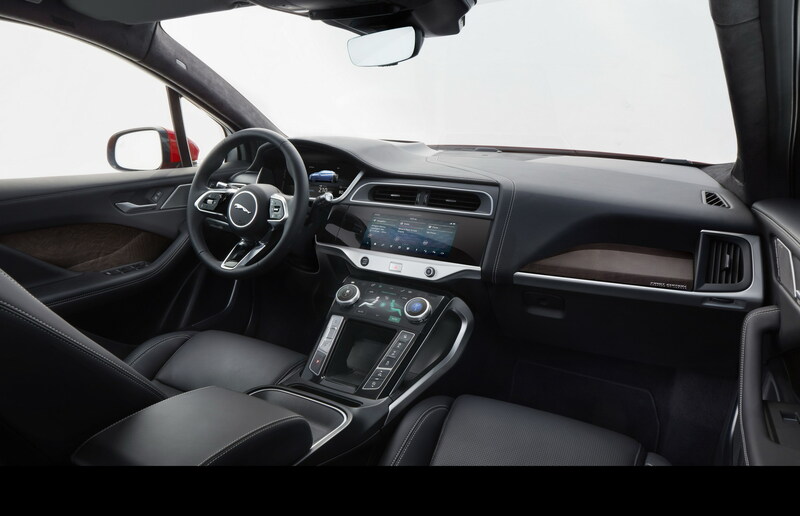 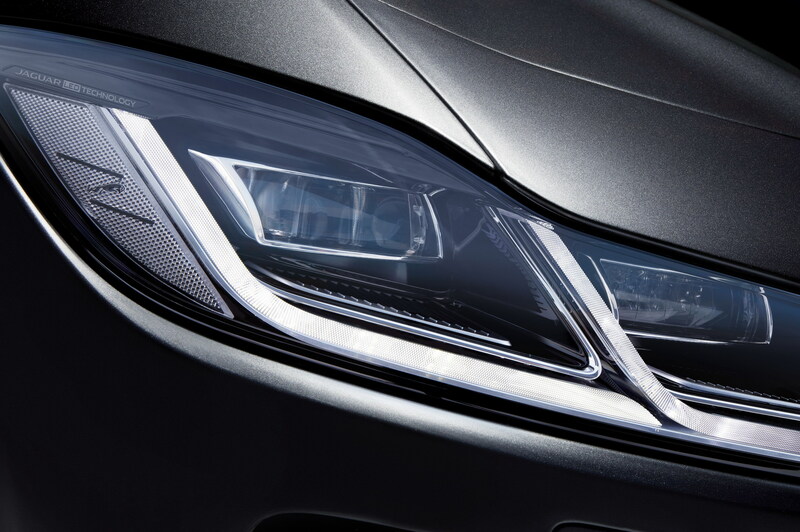 The various added indentations, shapes and sizes, make its exterior a detailed and rugged looking item. 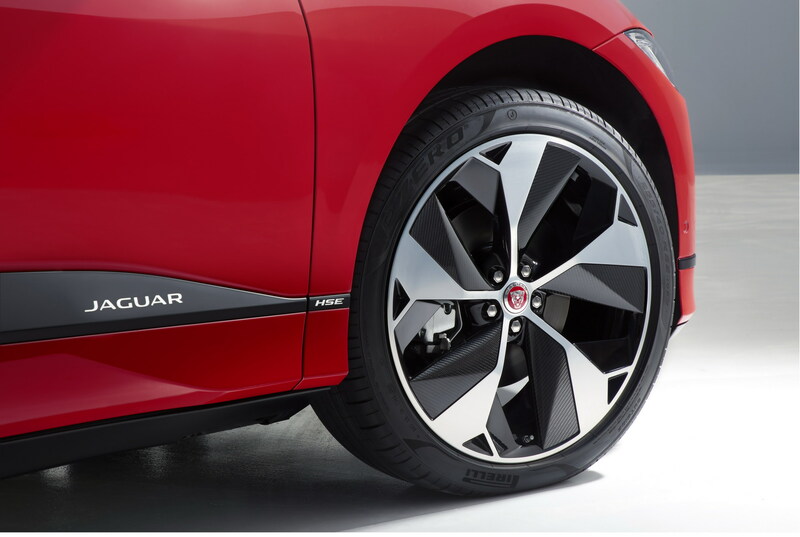 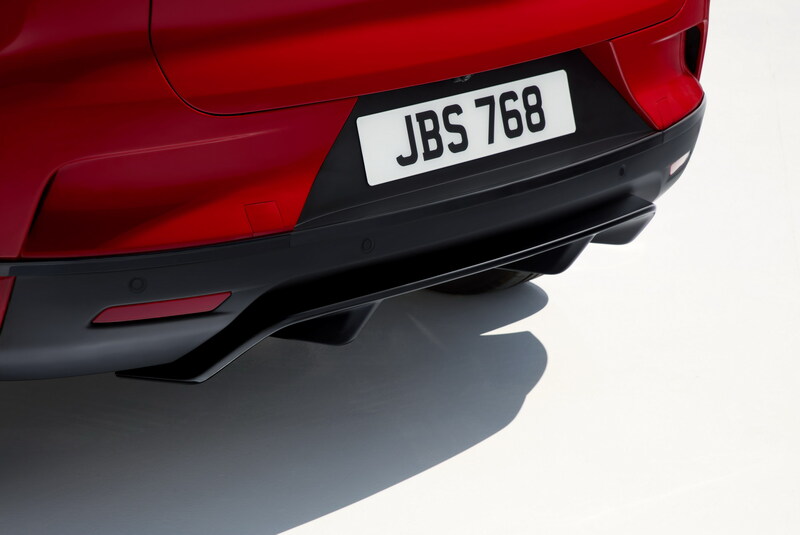 For example, the front fascia features Active Vanes in the grille which open whenever the car needs air. 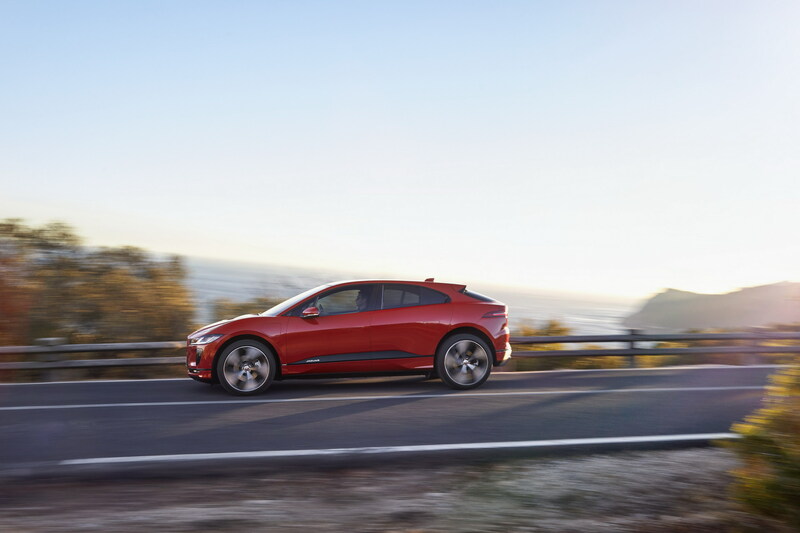 Additionally, the vehicle features a cab-forward design, matched by a squared-off rear – something that we consider the only letdown of this entire vehicle – allowing the I-PACE to achieve a drag coefficient is just 0.29Cd. 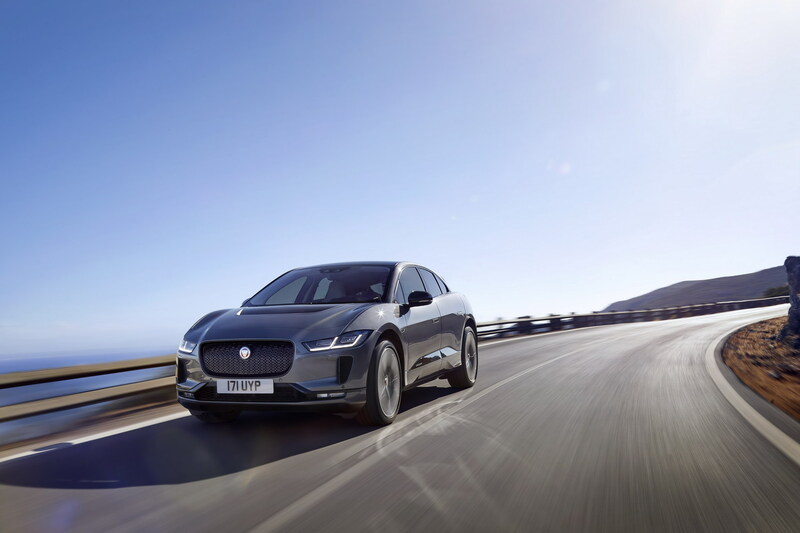 The 2019 Jaguar I-PACE is already available on the UK market, for a price tag starting from £63,495. 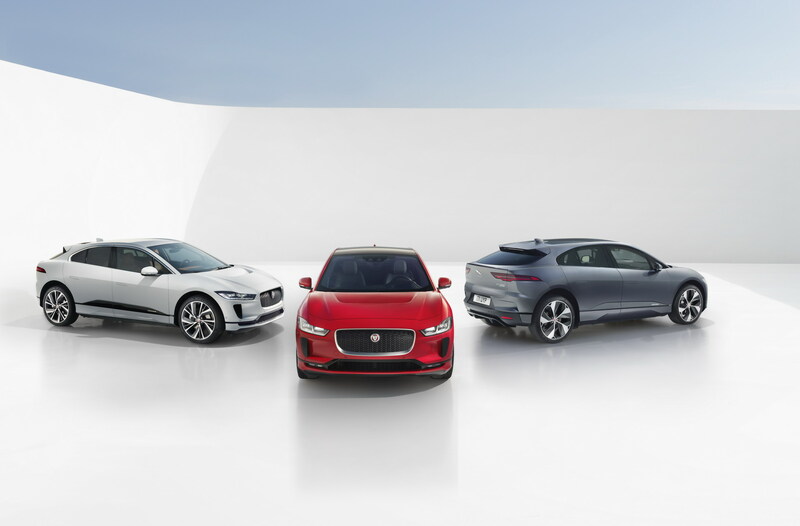 Customers will have the option to choose from S, SE and HSE specs, along with a First Edition model. 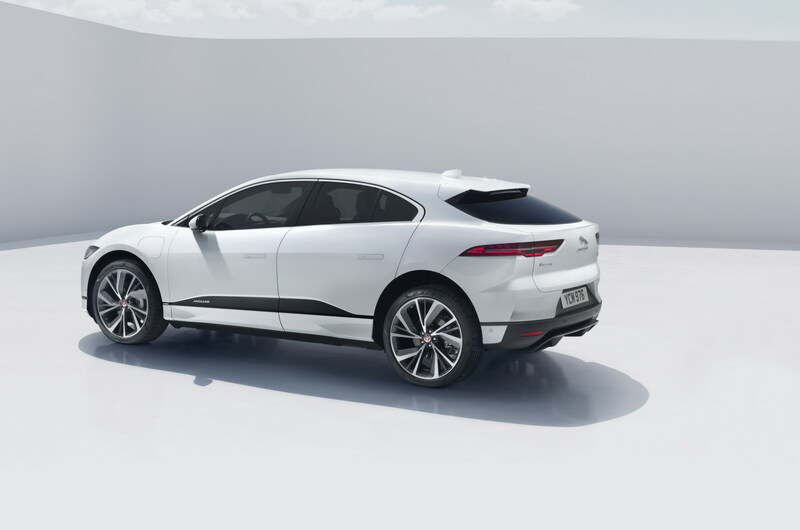 You can get a closer look at the I-PACE in the media gallery right below.